Absolutely! I will be sure to get you tagged and try to let others know! 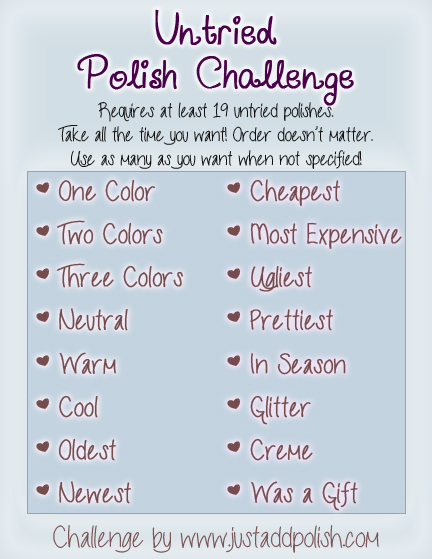 I hate when you get disappointed by a polish, thats always the worst. Can't wait to see what you come up with next. You know I wouldn't say never. I probably wouldn't wear it by itself, but it could be really cool for some art! Knowing you, you'd think of something completely amazing! Ah well, at least you know now that's it's not for you! 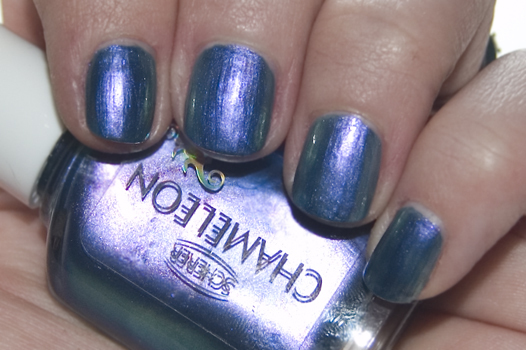 You can send it to a loving home instead of having it sit unused in your stash :) I think it's pretty though, that duochrome's lovely, but I know what you mean about that sort of finish looking streaky and showing up ridges! 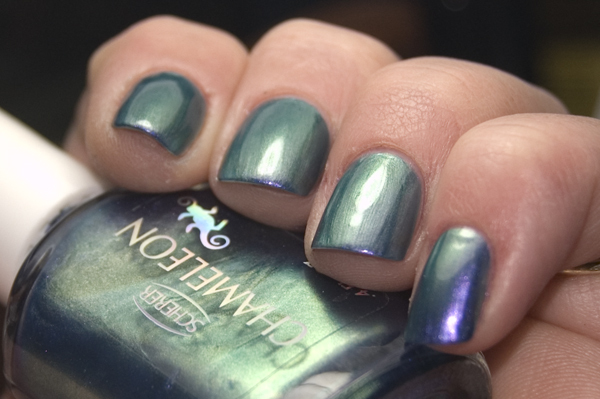 Have you tried sponging on the final layer of polish? Apparently that sorts out the streakiness. I love the duochrome finish, but damn that is one unforgiveable polish. Maybe it'd be better with a ridge filling base coat underneath? 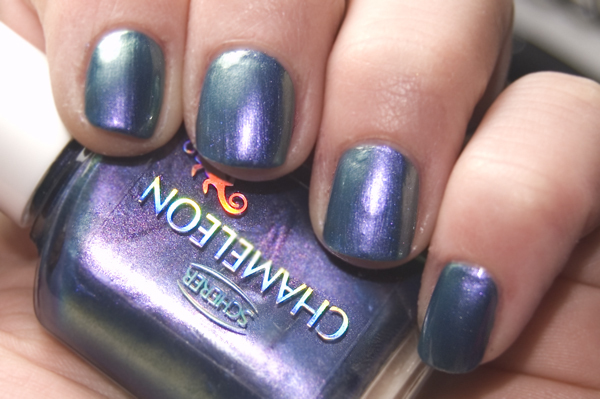 I like this colour, but I tend not to use blues that often. It looks lovely from the pictures though!